The shorter the distances between the cones on a shuttle run the greater the energy expenditure per meter you are sprinting - in fact the amount of energy you will burn on a 10m run is 3.5x higher than that your body will expend on the corresponding 10m of a 20m sprint - and you bet that this is not a "shuttle run"-specific effect. I have already hinted at the unfortunate circumstance that trainees and even scientists still adhere to the (obviously) lousy hypothesis that it were possible to calculate the energy expenditure of their participants by simply multiplying the force they apply to move a given object (or themselves) from point A to point B. It is true that the result, W (as in W-orlkload) = F (as in F-orce) x d (as in d-istance) will "look" like it should tell you the amount of Energy that's been necessary to move the object from A to B, but that would require that (a) all the bio-chemical energy your body produces would be converted to mechanical energy and none would be lost and (b) the acceleration and thus force (F = mass x acceleration) would be constant - both pretty irrational assumption even for a non-physicist, I should say. Kinetic measurement / estimation of the energy expenditure - how did that work? (1) The velocity profile during the shuttle runs was determined by means of a high-frequency camera. (2) The video was then analyzed using free software Kinovea-0.8.7 to obtain the actual distance covered by the center of mass of the subject over each nominal 2-m stretch as well as the corresponding time. (3) This allowed for the calculation of the time course of the speed [note to this ends they did not use the time-integral over M x v²/2, which would be how it's done, but simply the peak v-elocity], and, hence, of the corresponding acceleration, as well as the peak speed, which where then used to "estimate" (Buglione. 2013) the energy cost of shuttle running by multiplying it with a variable ny (~0.25; cf. Prampero. 2005) describing the efficiency of mechanical work and adding the result to energy cost of constant speed running. for whom the energy costs were calculated (the math approach) based on a kinetic approach (if you are a physics geek see the box on the right-hand side for more details). As the data in figure 1 goes to show you the energetic costs for a given sprint (~ interval) distance on the shuttle run increases linearly with the velocity v. The incline, of the graph, on the other hand, is determined by the distance with the a much steeper incline on the short (10m) vs. long (20m) shuttle runs. 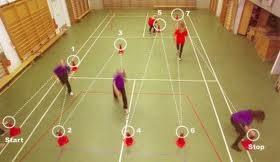 Remember the last study involving a shuttle run? 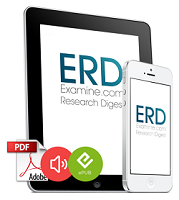 It dealt with the ergogenic effects of glycerol (read more). Interestingly, the results from the direct measurement are in good accordance with those calculated based on the scientists kinetic approach (see figure 1, left; where the energy cost of shuttle running [J/(kg m)] obtained from the kinetic approach (CSh-Kin) is plotted as a function of the corresponding value obtained from the energetic approach (CSh-En)), for the longer distances. This observation confirms Antonio Buglione and Pietro Enrico di Prampero hypothesis that their "kinetic approach" would qualify to as a assess the energy expenditure during high intensity (intermittent) exercises like the shuttle run over long(er) distances without having to resort to expensive experimental equipment. Remember: All it takes is a cheap Casio Exilim EX-FH25 to record the runs at a high-frequency of 210 Hz and the video software. What's the physiological underpinning of the short vs. long difference? Now, analyzing the underlying physiological mechanisms that yield the directly measured 3.5x increase in energy expenditure during the short 20m shuttle runs was not part of the Italians' study. Therefore we will have to invoke the results of another recently published study by Jared R. Fletcher et al. from the Human Performance Laboratory at the Faculty of Kinesiology of the University of Calgary (Fletcher. 2013), who set out to answer the question: "Can muscle shortening alone, explain the energy cost of muscle contraction in vivo?" Their results, part of which you can see in figure 2 clearly indicate that the actual energy energy that's necessary to maintain a given torque (which is what you would usually calculate based on the weight and the lever, e.g. the poundage on the bar and the length of your forearm for a simplistic model of a biceps curl), increases almost linearly with the shortening velocity. 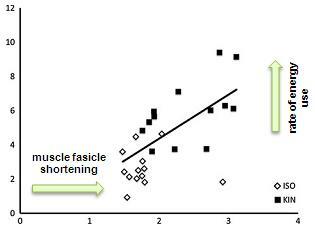 Figure 2: The relationship between the rate of energy use to maintain a given torque and magnitude of muscle fascicle shortening (cm). The main finding in this study was that when greater MG fascicle shortening was imposed, the rate of muscle oxygen uptake increased. Moroever, kinetic (=moving the weight) vs. isokinetic (=static) exercises resulted in significantly greater muscle shortening and greater shortening velocity. I is therefore not surprising that the isokinetic plantarflexion contraction the 19 triathletes who were in the pre-competition phase of their training performed during the testing session (30 reps at 1/s) resulted in a +19% greater energy expenditure than their isometric counterpart. Bottom line: Overall, the two studies have a general, and two very practical take home messages. The general one is that you cannot calculate the amount of energy your body will consume during a certain exercise / movement paper based on simplistic equations that have been developed to be applied to standardized weights on straight levers that are moved with constant velocity along strictly linear or circular paths and against constant, at best linearly in-/decreasing resistances. di Prampero PE, Fusi S, Sepulcri L, Morin JB, Belli A, Antonutto G. Sprint running: a new energetic approach. J Exp Biol. 2005 Jul;208(Pt 14):2809-16.